As the weather begins to turn cooler, flu season is right around the corner. Below is a list of our flu clinic dates. Once again this year the CDC is NOT recommending the flu mist at any age and therefore we will not be carrying the flu mist. We always encourage activities that will prevent illnesses in the sick season. Please see the information below for cold/flu prevention and elderberry syrup recommendations. Before getting the flu shot, ensure your infant/child is 6 months and older, up-to-date on well visits and healthy! If your child is going to need other immunizations please schedule a separate visit with the nurse. The times listed below are for the ‘flu shot’ only. 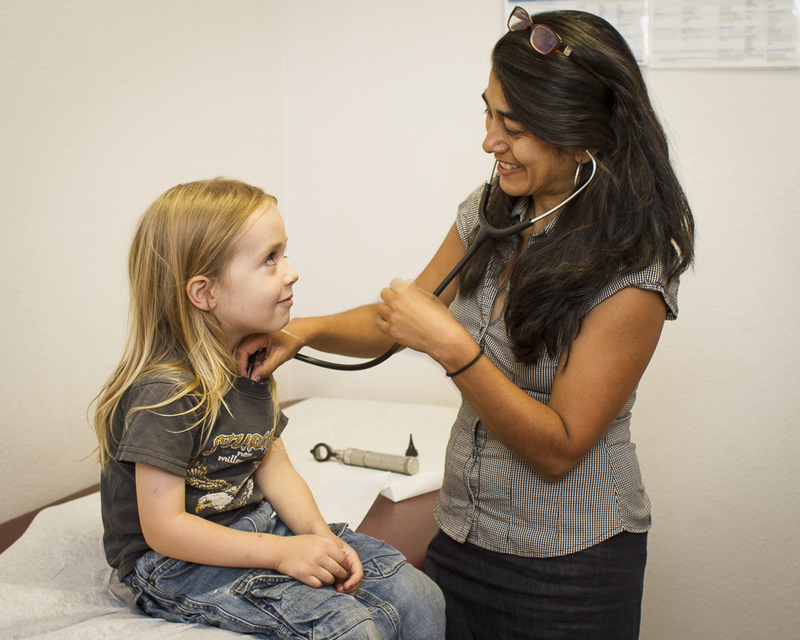 Feel free to give us a call at (970) 259-7337 to schedule your child’s/children’s flu shots today! Please call us at (970) 259-7337 to schedule! Flu viruses are constantly changing, and different flu viruses circulate and cause illness each season. Flu vaccines are made each year to protect against the flu viruses that research indicates will be most common. This is why everyone needs a flu vaccine every season.While everyone 6 months and older should get a flu vaccine this season with rare exception, it’s especially important for some people to get vaccinated. Household contacts and caregivers of infants younger than 6 months old. • Limit sugar in the diet. • Get outside in the fresh air at least once a day and breathe deeply. • Get adequate amounts of sleep. • Keep kids home at the FIRST SIGNS of a cold/flu so they can rest to prevent it from becoming more problematic and to prevent spreading to their peers. • Wash hands diligently. Plain soap and water is all you need. • Have effective tools to address stress. • Most importantly, optimize your Vitamin D levels as it naturally drops because of less sunshine in the winter. Just because we live in the SW does not mean we are all optimal in our vitamin D levels. Those with darker skin are at higher risk for having low Vitamin D.
lower than what Nasha Winters recommends. • Homeopathic Oscillococcinum has been a safe and effective remedy for years for influenza. Dose once a month during flu season, once a week if the flu is active in your area. It is best dosed right at the onset of the flu. This is best for influenza and influenza symptoms i.e. body aches, significant coughing, runny nose, fever…. This IS NOT a good treatment for the common cold. • Sambucas Nigra (Elderberry) is also one of my favorite and tastiest methods of preventing and treating the flu, as it is an excellent antiviral. Deb Swanson at Dancing Willow Herbs processes tincture, syrup and chews for you and your family. It can be taken preventatively as well as when you are ill. See next page. Please note that it would be appropriate to treat this as a new food for the youngest infants i.e. try one dose and wait 3-5 days to ensure no reaction before starting another new food and/or starting a daily regimen. ** Please make sure you obtain the glycerate version WITHOUT honey from Dancing Willow for children under 1 year of age. As above, please note that it would be appropriate to treat this as a new food for the youngest infants i.e. try one dose and wait 3-5 days to ensure no reaction before starting another new food and/or starting a daily regimen. **Please make sure to obtain the glycerate version WITHOUT honey from Dancing Willow for children under 1 year of age.